When the going gets tough, the tough get meditating. A few weekends ago I had the privilege of attending The Soul of Success seminar with Marianne Williamson and Deepak Chopra in Los Angeles. In these times of economic uncertainty, Marianne and Deepak had decided to transmit a message of spiritual and economic empowerment to their audience. As a vivid demonstration of their commitment to helping their students, they offered scholarships to those who requested it. Several attendees had taken up the offer from places as far-flung as Florida and Tennessee. Marianne has always believed in accommodating those seeking her teachings regardless of their finances, and she certainly practiced what she preached in this workshop. I only had a vague idea of what the workshop would entail, but having had both Deepak and Marianne as teachers for many years, I implicitly trusted their message and method. Marianne began with a powerful prayer and a 90min lecture exhorting us to cultivate a profoundly spiritual approach to success. Drawing upon the Course in Miracles, she reminded us that there is only one problem in life, and that is separation from god (or source, or Brahman, or universal good, or whatever you prefer to call it). There is no sunbeam that is separate from the sun, and so there is no person who is separate from the source. ‘Ego’ is simply the false belief that we are separate beings. Since “the vision of one world costs you the vision of another,” it’s of paramount importance to practice good mental hygiene. The Course in Miracles says “You will be at the effect of the rules of the world you believe in, so have faith in the world you want,” as opposed to the one you may see unfolding around you. Do you believe that you inhabit a world of abundance and joy? Then that’s what you’ll experience. Do you believe that you inhabit a world of scarcity and pain? Then that’s what you’ll experience. To enable real success in your life requires a little bit of letting go and letting be. This involves two steps: 1) Becoming the person who’s willing to receive the plan and 2) Becoming the person who’s willing to implement it. This was one of the most powerful points of the seminar: when you encounter fear of success, it’s only because you’re making it about you. Well, it’s never about you. It’s about serving the world. 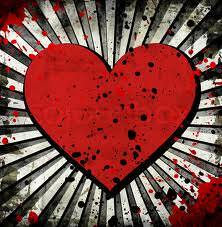 Success comes when you remove your own blocks to love. Marianne ended her segment with a written meditation on our perfect day. We wrote out what a perfect day would look like for us — what we would be creating, how we would be serving, and what we need to have taken away from us to make it all possible. Now that I read that meditation, I realize how powerful it was and how seldom we engage in this kind of positive visualization. The afternoon segment was with Dr Deepak Chopra. He started out by saying that ‘The Soul of Success’ has two components to it: soul and success. So we should think about each component. First, we discussed success. We then did an exercise to define success for ourselves by creating a mind map. 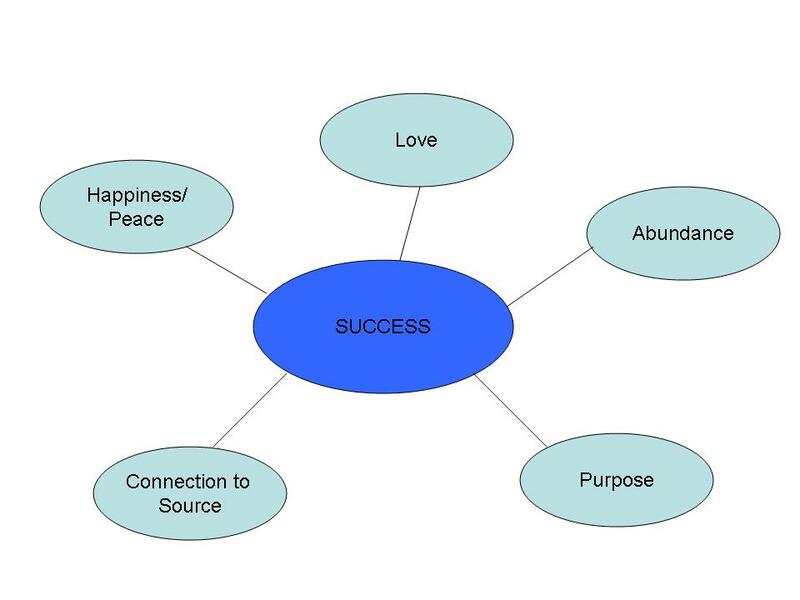 This mind map looked like a hub-and-spoke diagram, with ‘success’ as the hub and its components as the spokes. As a group, we came up with some good components: love, purpose, peace/happiness, abundance, connection to source (plus an extra one for me: self-actualization). Then we came up with spokes to those spokes — in other words, the true actionable meaning of love, purpose, happiness, abundance and connection to source. From here, Dr Chopra went into the vibratory nature of the universe, oscillating between on and off. In the ‘off’ there is the discontinuity which has “infinite possibility, knowledge and creativity and the power of intention.” This is the realm of pure consciousness where the soul resides. 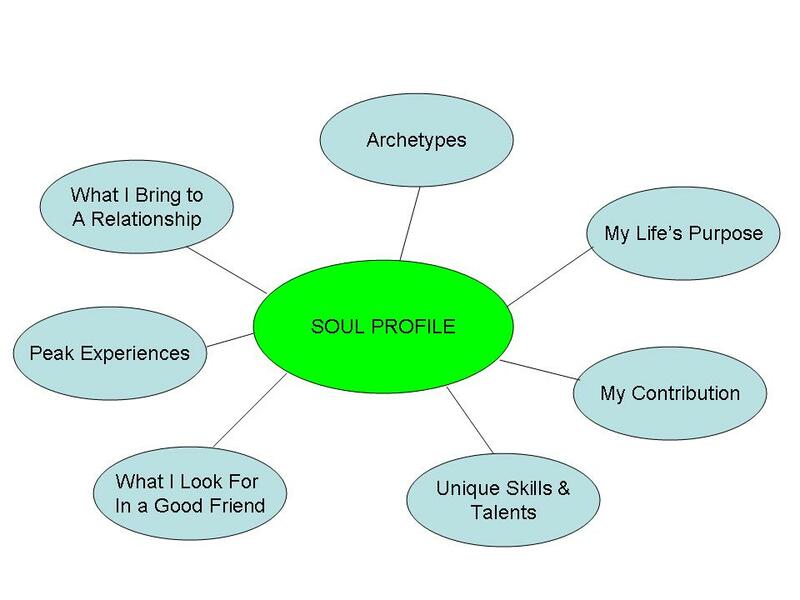 From this arose another useful exercise: mind-mapping your Soul Profile. Dr Chopra broke it down into seven components: your life’s purpose; your contribution; your unique skills and talents; what you look for in a good friend; peak experiences; what you bring to a relationship; and archetypes. For women, some of the archetypes were Athena (wisdom), Demeter (earth mother), Aphrodite (love and sensuality), Persephone (sorceress) and Hera (Power). Consult this excellent book by Agapi Stassinopoulos for more on female archetypes. Archetypes for men were the Redeemer (Buddha, Jesus), the wise seer (Merlin), and the Warrior (Mars). Finally, as a technique for calming the mind and accessing the soul of success, Dr Chopra introduced the mantra (from Sanskrit man = mind, tra = instrument). By repeating a sound like ‘om’ or ‘rama’ with no history and therefore no karma, you can cancel out thought and achieve pure consciousness. Prior to attending the seminar, I was trying my best to get work so that I could pay my bills and rent. No matter how hard I tried or how positive an attitude I kept, nothing was working out for me! Then I sat down in the room, and simply was! Too many wonderful things happened that day alone to describe it all here. My focus is now in alignment and I’m excited about each step of the Journey. I’ve been energized and inspired. Deepak talked about detachment. For the first time I truly understood what that meant: it’s not about the destination, it’s about the Journey. Once you get that… everything else falls into place! Marianne Williamson and Deepak Chopra are two teachers with sterling intentions at the forefront of helping folks elevate their consciousness. I encourage you to see them live the first opportunity you get.